So, this is a thing. This is a thing that is happening. 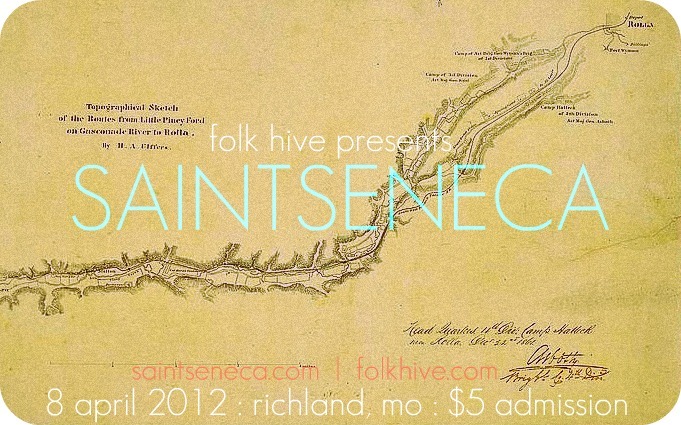 The beauty of these house shows is two-fold for those of us here in the Ozarks. Let me explain. On the one hand, I get the glorious task of introducing those here in my vicinity what exactly it is that I love about the music I endear myself to and that endears itself to me. The people here are quintissential working Americans — they wake early every day and they go to jobs. They raise families and they work to leave those people something when they are gone. They do not concern themselves with business that is not theirs and they have time for what is given to them on the radio and nearly nothing more. Because I love music as much as I do, I cannot put into words how glorious it is to bring it to their laps, knowing they’d never hear it otherwise. I cannot tell you of the benefits of that to my soul because it’s just too hard/awesome to put into words. On the other hand, the beautiful part of this is that I get to introduce these bands from so far away what it is that draws me in and keeps me. The people here, they are such good folk. They suffer in the national spotlight from supposed stereotypes of the typical country American, uneducated and simple, when they are anything but. They are the salt of the Earth and while labeling them is certainly something I did before I learned to love this place and it’s people, I know now how wrong that is. I get to cover these bands in people who are the salt of the goddamn Earth. I am a card that has two sides. I was made to live somewhere else, somewhere bigger I think, but I choose to stay here and marvel at the tenacity of these people because it inspires my awe. I get to show my people here the opposite side of my card they rarely see or know exists and I get to show these singers and music makers the opposite side of that card too, that part of me that instinctly trusts and is comfortable in this small country place. Saintseneca is a band that I first stumbled on in late 2010 when I found their S/T 7″…somewhere. The exact location is lost to me now but at first listen the sounds of a built family within their music set me in love. This music is the kind that lends itself perfectly to these kinds of shows and so on 8 April of this year they’ll venture out into the Ozark woods and they’ll play for us all in the back yard. As before, we’ll feed them tasty morsels of barbecued meats and home-cooked baked beans. We’ll gather ’round them in Coleman chairs and people will listen intently to a band they never would have listened to if not for this show. We’ll pass around the whiskey bottle and make piles of spent aluminum beer cans off to the corner of the grass ‘stage’. My heart will likely swell and burst. You should come. Come and watch. RSVP here.